The Square Hand Shower Rail Set is simple, sophisticated and delivers great utility – all at an affordable price. It is available in a modern geometric design and can easily be installed in any standard bathroom. This hand shower unit certainly boasts impressive looks. 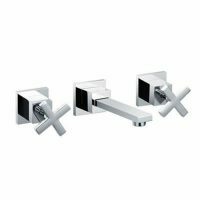 It features a stylish chrome finish and will do well to complement the looks of any bathroom. Moreover, this hand shower has been thoughtfully designed with great focus on ergonomics. 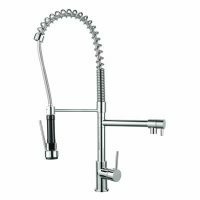 The result is a highly practical hand shower unit with a solid lever handle that is easy to grip and use. 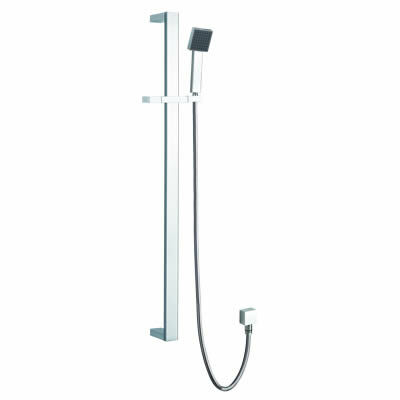 Furthermore, the shower head is angular in shape, which makes this unit very easy and comfortable to use. In terms of build quality, the Square Hand Shower Rail Set certainly scores very well. Thanks to solid brass construction, it will easily last several years of rigorous bathroom usage. If you’re looking for practical enhancements to your bathroom on a budget, then the Square Hand Shower Rail Set is just what you need. Buy this great product today at the best possible price from Ross’s Discount Home Centre, Perth’s #1 Bathroom centre!